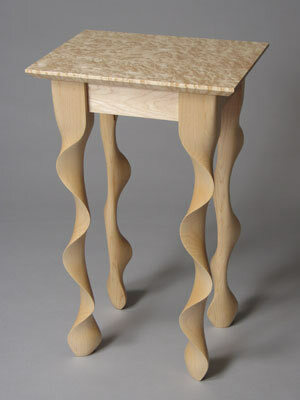 This end table features carved hard maple legs and a birdseye hard maple top with an intense and dynamic figure in the grain. Mortise and tenon construction. 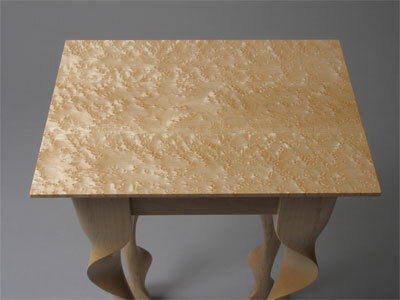 This table is featured in the book 500 Tables, published by Lark Books in 2009.